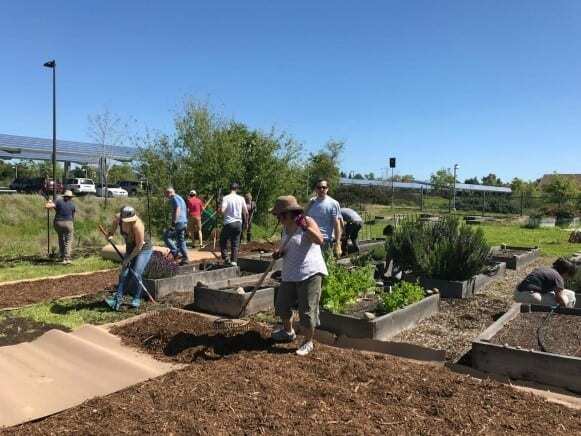 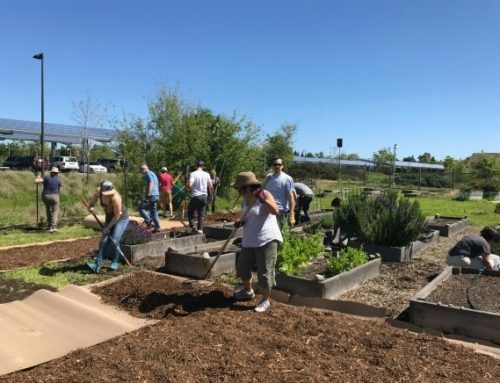 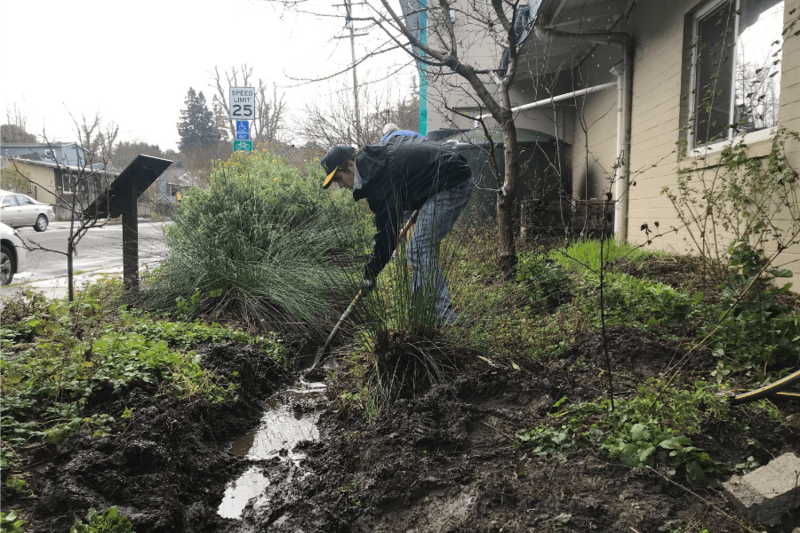 In the Summer and Winter of 2017, Daily Acts partnered with Crossroads Community Day School and the City of Petaluma to create a pollinator habitat and rain garden on the Crossroads school campus, located at 700 Bantam Way. 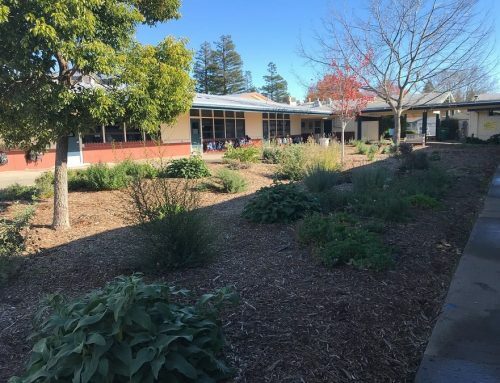 Crossroads is an alternative junior high for disadvantaged students who need more support than a traditional school can provide, and is located within but separate from Petaluma Junior High. 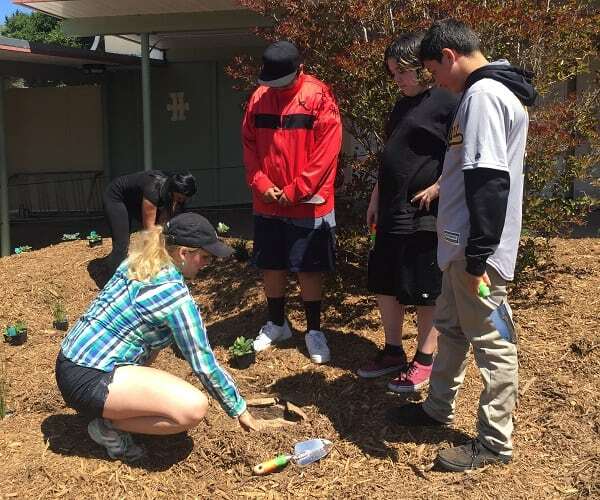 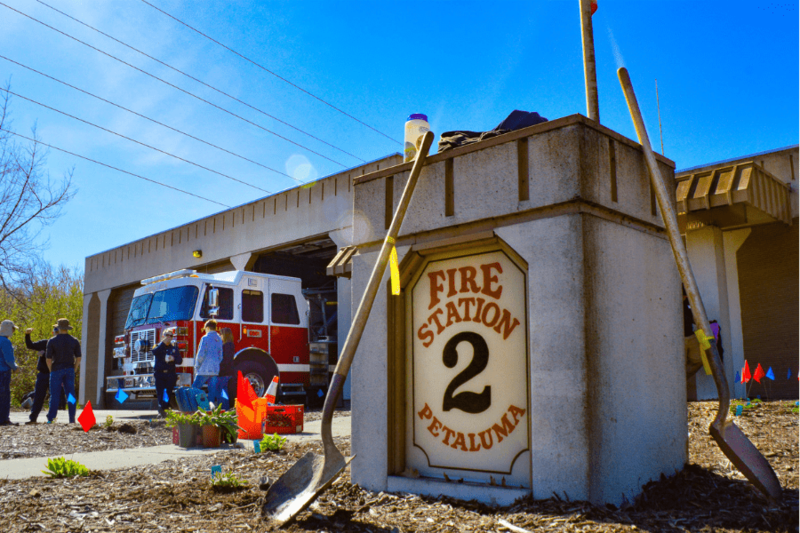 The project was initiated by Karen Kessaru, a teacher at the school and brought to our attention by Katelynn Wiley at Friends of the Petaluma River. 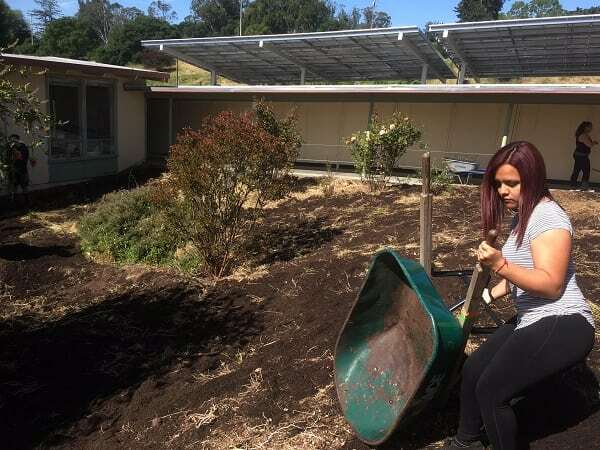 Daily Acts worked with a group of 30 students and two teachers over the course of five half-days during the summer to transform their sloped courtyard from a weedy, unused space into a colorful water-wise pollinator garden. 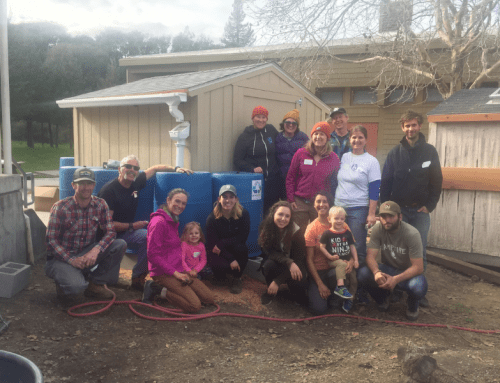 A rain garden was also built to infiltrate rainwater from two downspouts and prevent ponding next to the building at the bottom of the slope. 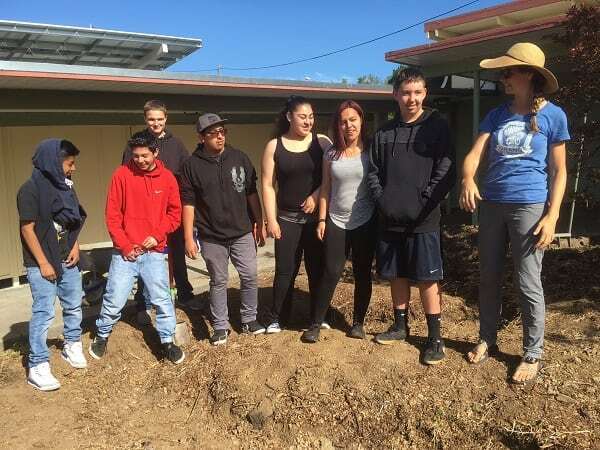 Daily Acts provided a design as well as training, tools, and leadership for the students as they edged, dug the rain garden, sheet mulched, and ultimately planted their new garden. 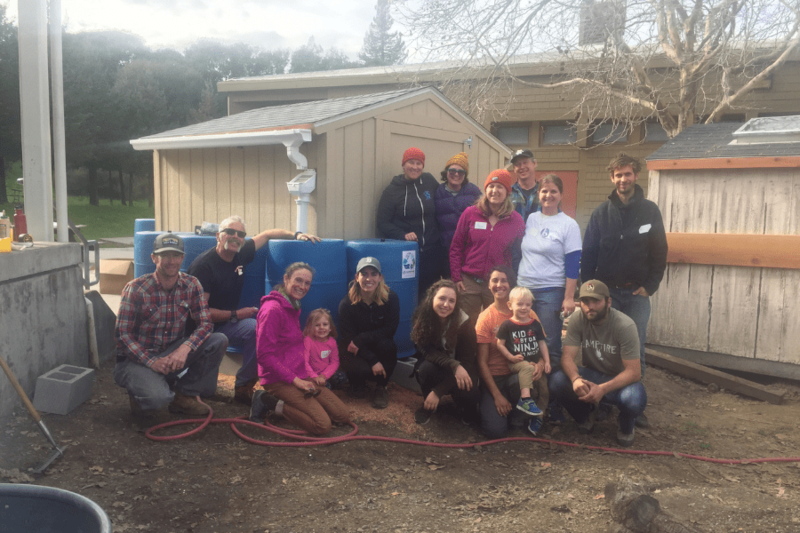 Mrs. Kessaru had support from the Petaluma Garden Club to fund and install a drip irrigation system at the completion of the project. 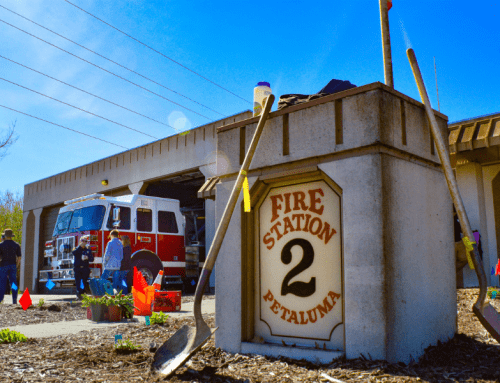 In the winter, due to a grant from U.S. 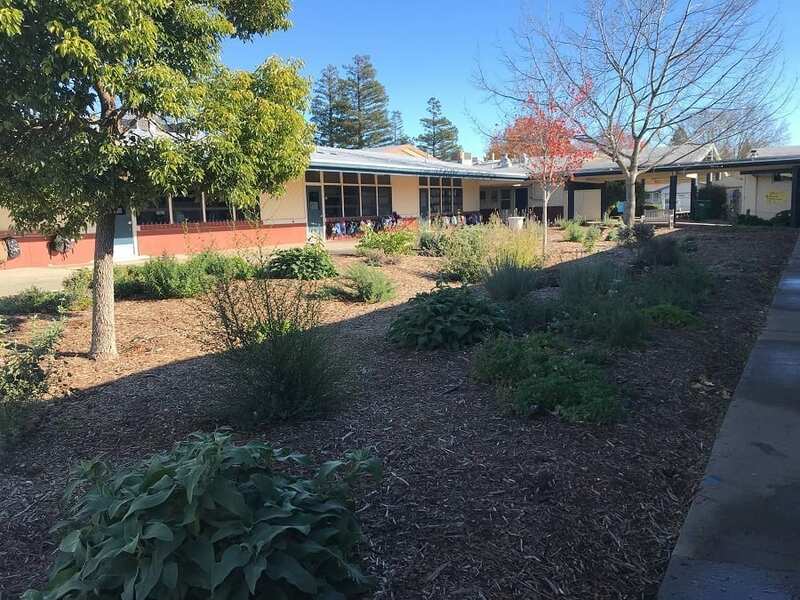 Fish and Wildlife Dept. 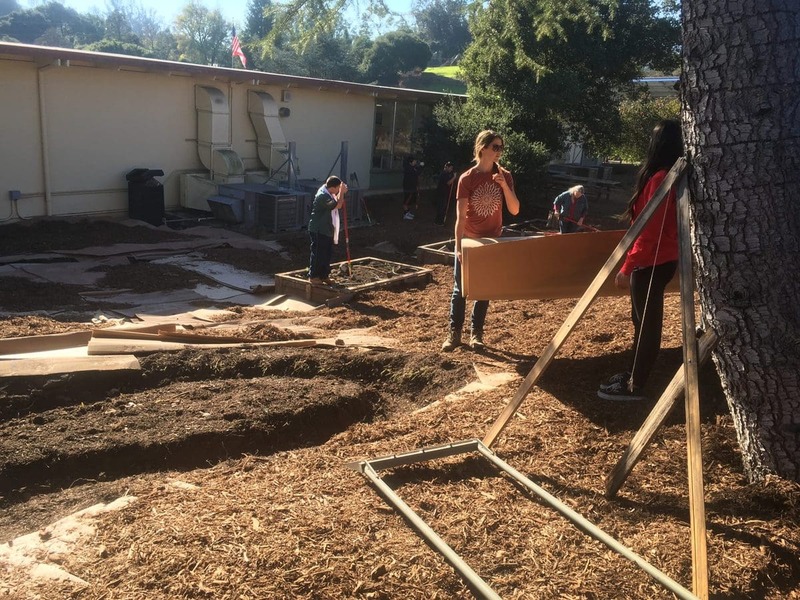 to complete a similar transformation on the other half of the courtyard, Daily Acts supported again for the continuation of this project. 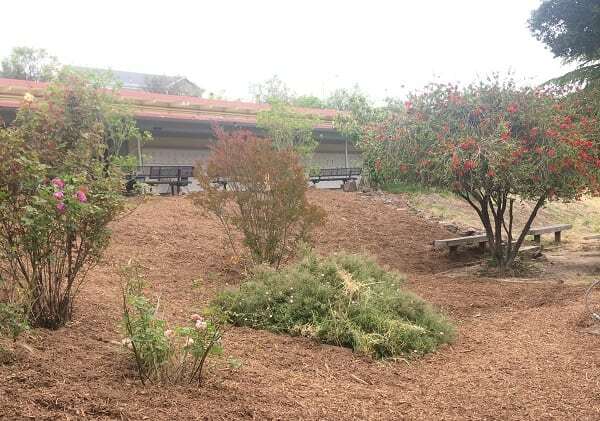 As this garden grows, students will notice the sights, sounds, and much more change throughout the years. 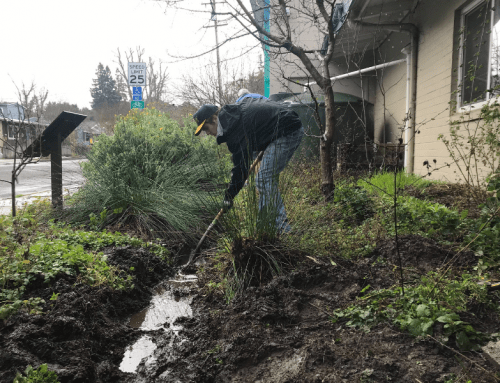 Rain gardens and swales will slow, spread, and sink rainwater below the surface as an educational demonstration of the watershed similarities for students.